Robi Walters' exploration of identity and perception. I discovered the mixed media artist Robi Walters' art a couple of years ago when I was invited to a viewing of new work in his studio in Soho. Robi has been selected by The Daily Telegraph and Lexus as one of the most exciting creative talents working in Great Britain today. 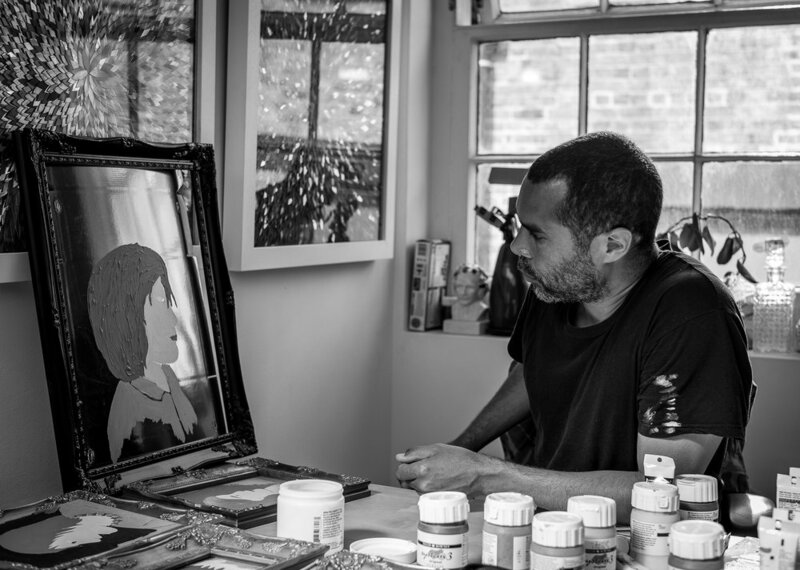 His work is exhibited worldwide and his collectors include Thandie Newton, Bryan Adams, Mary J Blige and Usain Bolt. His mixed media work exudes positivity and its vibrant colours will enhance your mood. Robi is a prolific artist and I urge you to visit his new gallery in London conveniently located in Soho (Ingestre Place) where you are very likely to meet Robi as he works in his studio nearby. In his "I Project You" series, Robi explores themes of identity and perception through paintings inspired by African barbershop paintings. Each portrait is timeless and from bold primary colours exudes the personality of the sitter. I had right away been attracted to these portraits. As a photographer, I know that when I take a portrait of a person, it is also a portrait of me. 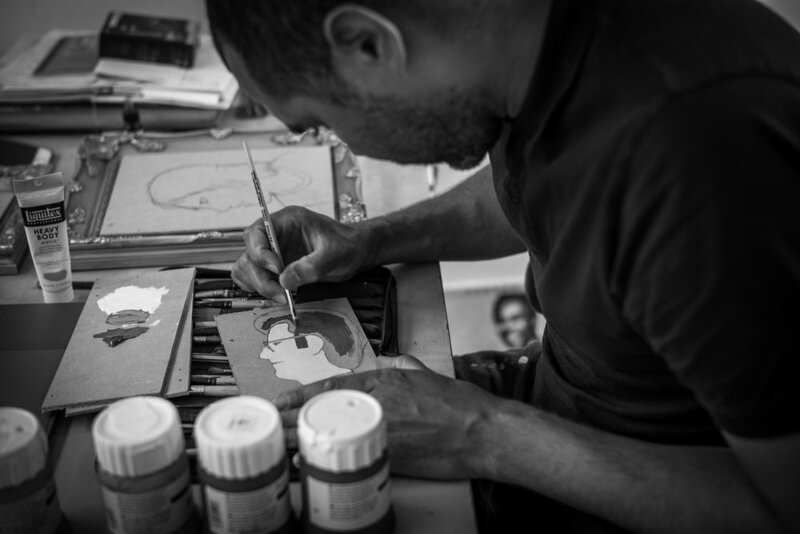 I was intrigued to find out more about Robi's creative process when creating his portraits. We often see inspiring photographs of artists' studios but we rarely have a chance to photograph their process. Robi, very generously, let me photograph him while he was painting a commission of family portraits. Over several days and countless hours, I watched Robi immerse himself in his portraits, seeking to understand the "other" and himself through each portrait. The paintings are incredibly complex, notwithstanding their apparent simplicity, as each pencil and brush mark is carefully thought about, digested and then put onto the "canvas" (made of recycled material, carefully selected for each portrait). Robi Walters will soon have an exhibition of his portraits at his gallery in Soho - do pop in to have a look. You will be energised and the world will feel a better place.